Welcome to the Accessibility Training Site for Instructors! UWM is strongly committed to maintaining an environment that provides students with disabilities full access to its educational programs, activities, and facilities. 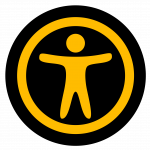 The purpose of this site, therefore, is to provide UWM instructors with the resources and training you need to support students with disabilities and to make your course accessible for all students. The training and resources are available in Canvas. To access these materials, click on the button below to be added as a student to the Canvas course site. In addition to finding important resources on this site, you can earn the Certificate in Accessibility for UWM Instructors by completing all parts of this training. This certificate is sponsored by the Office of the Provost and formally verifies that you have completed this training. Earning the certificate is a great way to demonstrate your commitment to teaching and to our students at the university. This site is the result of a collaboration between the Accessibility Resource Center (ARC) and the Center for Excellence in Teaching and Learning (CETL). If you have questions or concerns about this UWM Accessibility Training Site for Instructors, please contact Dylan Barth. If you have questions related to accommodations or accessibility, please contact ARC.